The much-anticipated trip for my elder daughter is soon approaching, with less than two weeks to THE day, I am starting to get just a little bit nervous about this whole solo-travel-with-my-girl plan. I have not planned out the exact itinerary yet for the 6 days in Sydney, but I’ve been doing my research and started preparing for the trip since the day I made the flight and hotel bookings. This trip is going to make a big hold through my bank account this is for sure! After my first visit to Sydney last year, I knew my next trip is going to be another mad shopping spree. Even before we fly off, I’ve already started shopping because this is the first time I’m flying solo with my daughter, her first 7-hour flight to a potentially 15 to 17 degree country and our first navigate-with-google-map and long-hour road trip adventure. To ensure Ayra is comfortable and be able to sleep through the redeye flight to Sydney, I’ve gotten the children’s airplane bed, BedBox for her from Taxibaby.sg. I first learned about the BedBox by JetKids when a friend shared the demo video on Facebook. I thought I’ll never need one because I had no plan to travel anywhere more than 4 hours with my kids when they are little. And this happened! HA! 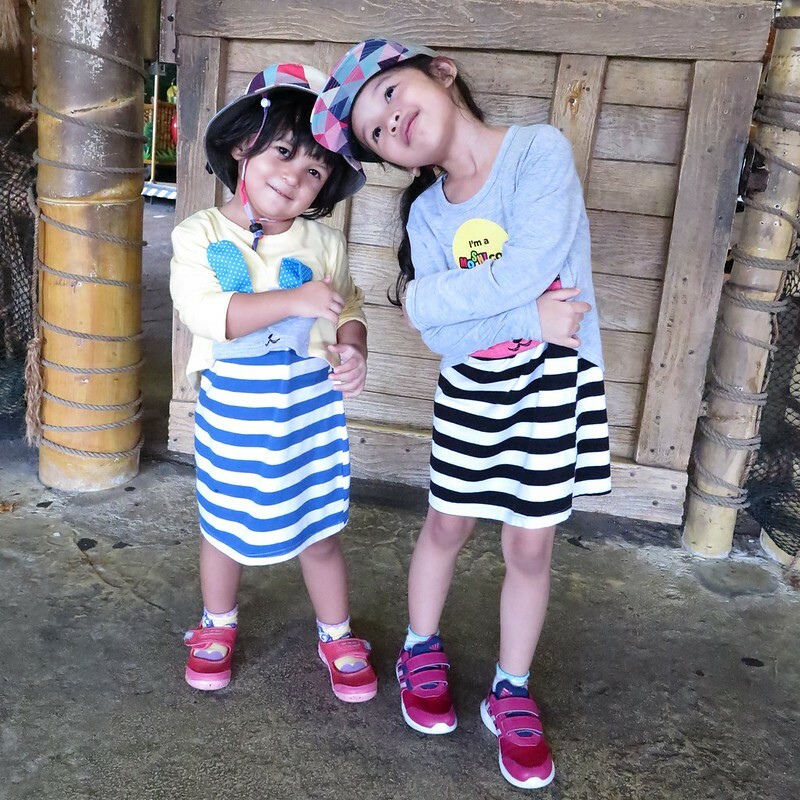 From our previous flight to and from HongKong, I noticed that Ayra couldn’t sit comfortably on the plane, her legs were not long enough to touch the floorboard and when laying down reclined, she slept in quite an awkward position. With the BedBox, Ayra will be able to stretch out her legs and be in a more comfortable position. Hope this will help her to sleep soundly through the flight into Sydney so we can both be refreshed and ready for our first day of adventure. We will be travelling quite a bit on cars and private vehicles around Sydney, and Ayra will need to be in a booster seat! For this, I didn’t need to worry as we already have two very compact and travel-friendly boosters which I’ll be bringing along to Sydney. If you’re wondering how I am going to fit a child booster seat into my luggage, here’s how ours look like. Can you even spot it in the photo below? LOL! Meet mifold, the most advanced, compact and portable booster seat in the world! mifold grab-and-go booster seat is 10x smaller than the regular booster. Instead of lifting the child higher in the car seat, mifold brings the seatbelt lower to fit the child shifting it from their stomach to their lab and away from their neck. We have been using the mifold booster seats in our family car and the girls have come to get used to it (as long as they are occupied with toys or the ipad). Having been introduced to the Wifi router from Changi Recommends, I cannot leave Singapore without one! 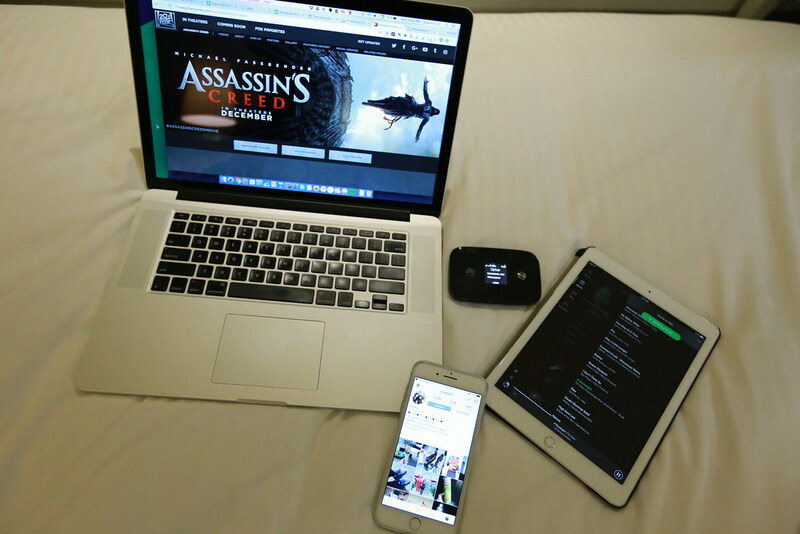 Connectivity is even more essential and important for this trip since I’m alone with my precious daughter. The last thing I want is to lose connectivity and get lost in the big city. With unlimited and constant Wifi connection and the ability to connect up to 5 devices on the ChangiWifi router, we will be able to stay connected and use our phones and tablets to navigate around Sydney, Ayra will be able to catch her videos when we take breaks at cafes and I’ll be able to catch up on some emails and work when I can (I SHALL abstain myself from work when I’m in Sydney). The last time I was in Sydney, the ChangiWifi was loading faster than the Wifi in my hotel and the airbnb I stayed at! I have been battling with the decision to bring which camera to Sydney for the past one month or so. I didn’t want to carry around a heavy and bulky camera because I know there’ll be time when I have to carry Ayra when she’s too tired to walk. I didn’t want to just bring any compact that may potentially not give the best quality shots for this first-in-our-lifetime-adventure! 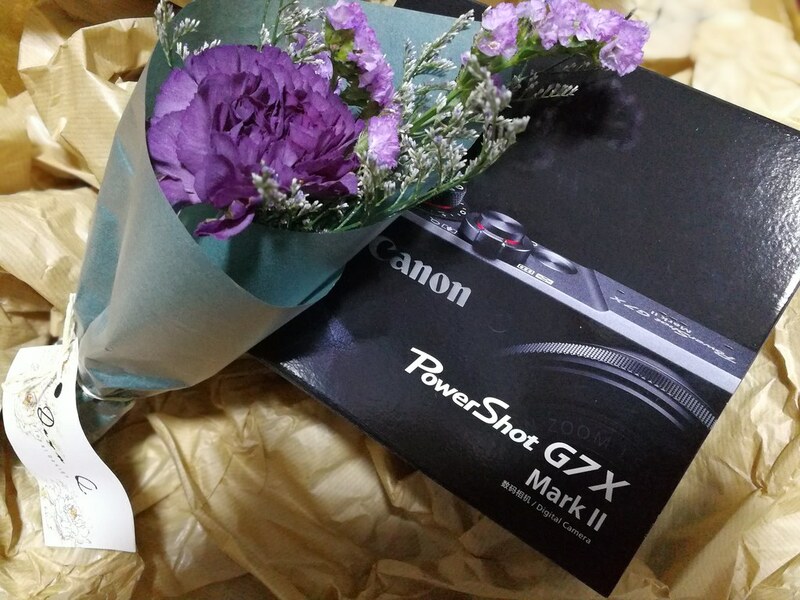 So… I gifted myself with a Canon Powershot G7 X Mark II for Mother’s Day! This is compact enough to fit into my small sling pouch and yet powerful enough for superb photos and videos! I’ve been carrying the Powershot G7 X Mark II everywhere I go since I got it last week and I’m loving it. Two of the places I confirm will be bringing my girl to are the Blue Mountains and Sydney Tower Eyes. 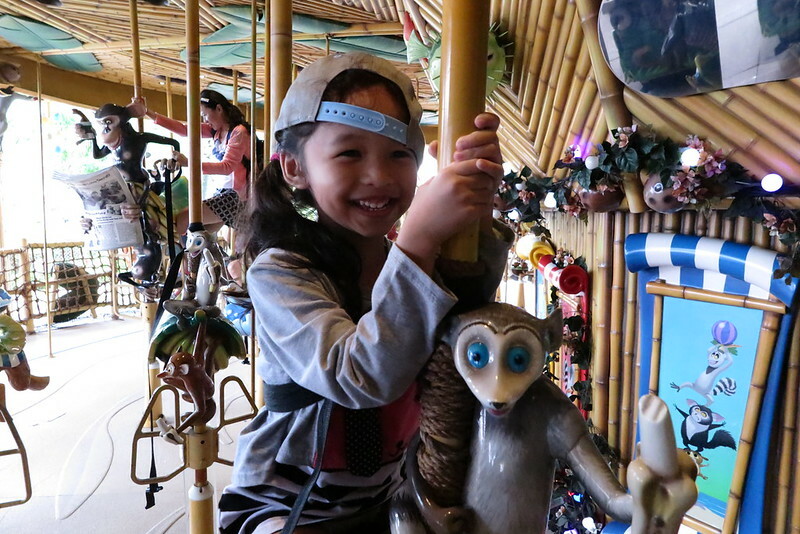 To save time queuing for tickets or finding a trusted tour package, I booked ourselves through Changi Recommends attractions and tours offering. Purchasing attraction passes/tickets and tour packages on Changi Recommends is very convenient and easy. And because it’s recommended by Changi, it should be among the best right? 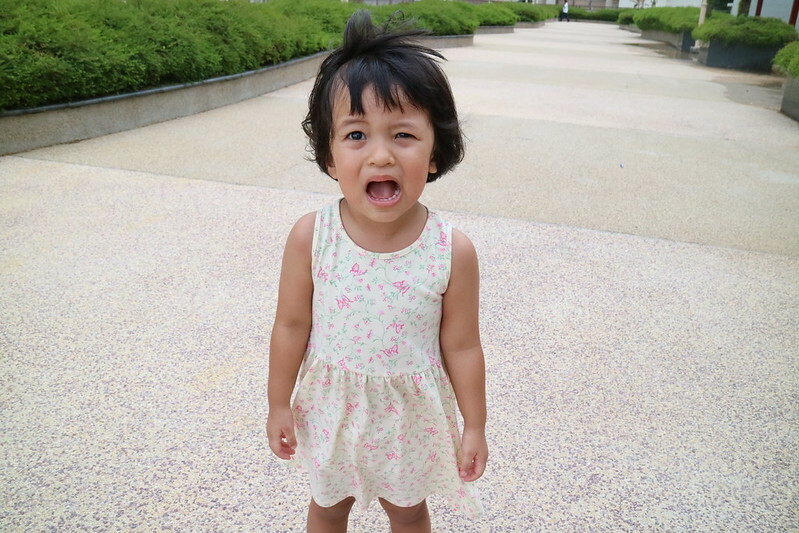 If anything goes wrong, you can come back and complain loh! ermm… you can always provide your feedback when you’re back in Singapore! I’ve had good experiences with Changi Recommends when we visited HongKong last year, so I know I can trust them lah. 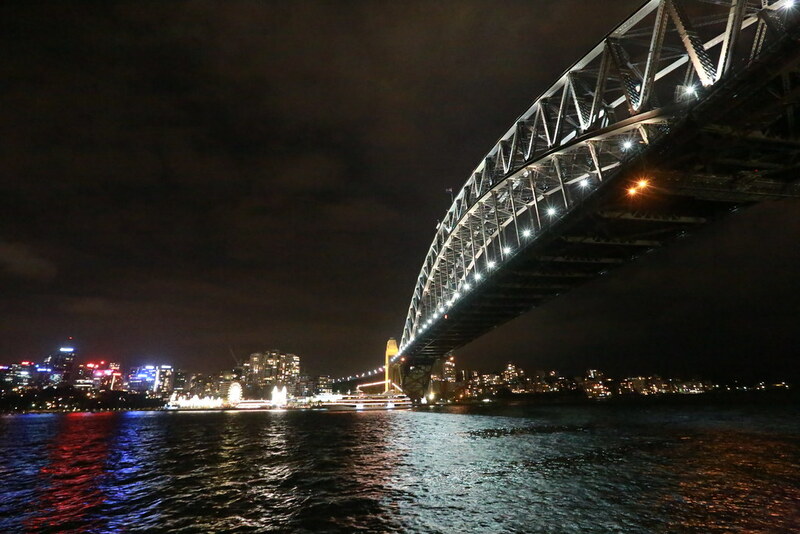 One of the major deciding factor to visit Sydney was because of the huge line-up of activities and attractions at Vivid Sydney! If you are travelling during the period from 26 May to 17 June, be sure to check out Vivid Sydney website and download their mobile app! I’ve got so many items bookmarked in my profile I hope Ayra will have enough energy to go crazy chasing lights with me when the sun sets in Sydney. So I’ve got about ten out of the one hundred and one things I plan to do with Ayra in Sydney planned out, I shall leave the remaining 90% of the trip to our sense of exploration and adventure with Google Map and Foursquare. Next on my to do list… get more warm clothing for Ayra and the luggage packed. Did the airline have any issues at all with your Bed Box? Want to order one at http://www.pishposhbaby.com/jetkids-bedbox.html but nervous that the airline won’t let.